Our lovely model would be a little chilly if she was sitting looking at the river forth today! So let’s think about warmer days and happy new beginnings instead. With the New Year now underway, 70% of these apartments are already sold to happy homeowners. 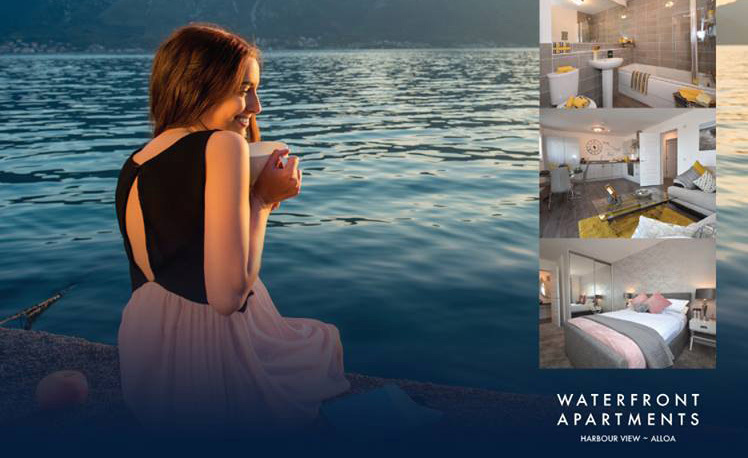 With prices from only £132,995 for a luxury two bedroom apartment, with en suite, balconies, lifts, private parking and stunning views, surely you deserve a life of luxury. Peace and Quiet Day and Night! Move in Now With Just a Smile and a Suitcase! What Can You Get for £99 These Days? How about asking the Easter Bunny for something more substantial this year. Go big or go home we say. Forget the easter egg. 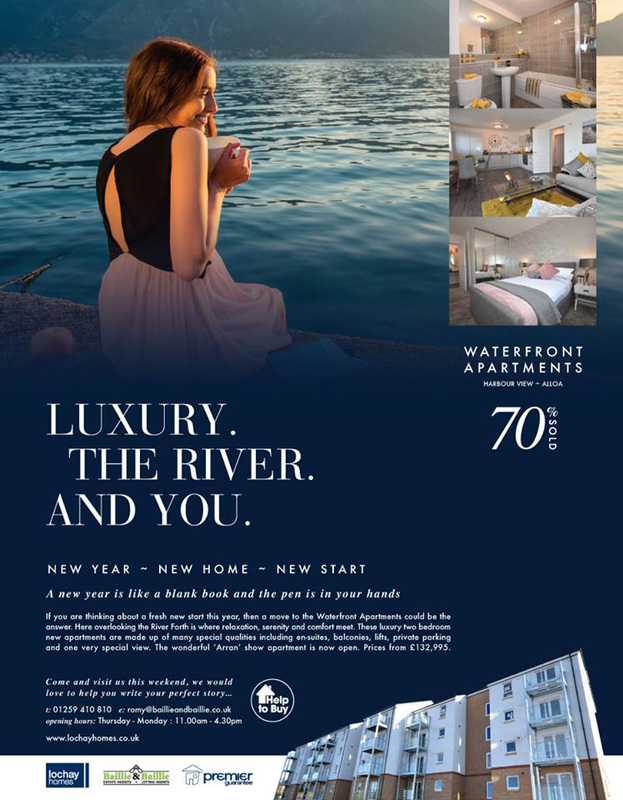 Ask him for a new apartment at Alloa Harbour complete with glorious views and your own balcony where you can sit and watch the sun go down while eating your holiday chocolate. So why not pop down and see just what makes these apartments so special. Featuring en-suites, balconies, lifts and private parking, you can reserve for only £99. We're just off Bowhouse Road, behind Alloa Acadamy. School holidays always mean roadworks and lots of people on the roads. Making for more stress and more noise. Did you know that there is growing strong evidence that noise is bad for your health with road traffic noise in particular associated with high blood pressure, sleep disturbance and even heart problems. What we all need in life is more peace and quiet. That’s what helps makes the new Waterfront Apartments at Alloa Harbour so special. Looking out onto the water from your balcony, you can actually feel all of the stresses of the day slip away. Every season, every time of the day, those wide open views and the light on the water will help you feel better mentally and physically. So if you are looking for a happier, healthier outlook on life, come and see our show apartments this weekend.